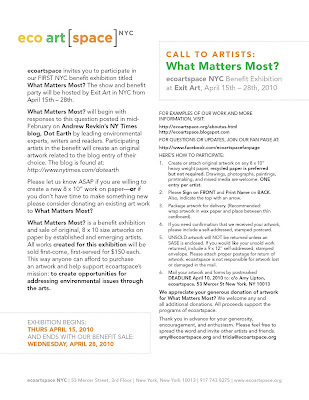 ecoartspace NYC 2010 benefit "What Matters Most"
ecoartspace invites you to participate in our first NYC benefit exhibition titled What Matters Most? The show and benefit party will be hosted by Exit Art in NYC from April 15 – 28th, 2010. What Matters Most? began with responses to this question posted on Monday February 15th on Andrew Revkin’s NY Times blog, Dot Earth by leading environmental experts, writers and readers and is still active in the archive (click on Dot Earth above). Participating artists have the option of creating an original artwork related to the blog entry of their choice or donating an existing work. All proceeds from this fundraiser will support ecoartspace activities and programs. 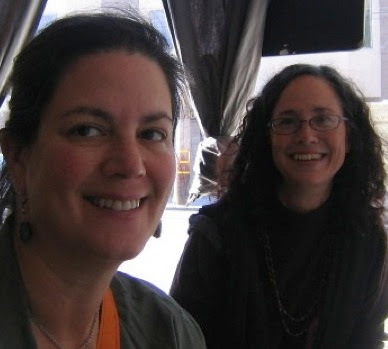 ecoartspace has been operating as a bicoastal nonprofit platform for artists addressing environmental issues since 1999. 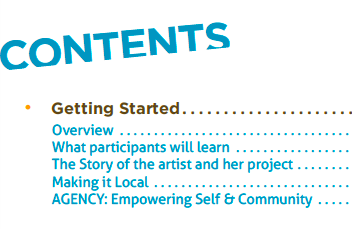 In our ten years of programming we have worked with over 400 artists, curated 38 exhibitions, 70 programs and collaborated with over 140 organizations. To celebrate our achievements as well as raise money for future programs we recently held our first benefit auction at Mina Dresden Gallery in San Francisco on December 4th, 2009. What Matters Most? begins Thurs April 15, 2010 and ends with our Benefit Sale: Thursday, April 28th , 2010. PLEASE CLICK ON THE FLYER ABOVE FOR MORE DETAILED INFORMATION. We give thanks to Exit Art for their support. This event is a continuation of our relationship with the Social-Environmental Aesthetic (SEA) program including our participation in The Drop exhibition in 2006 and EPA in 2008. Since the late 1980s, Bay Area artist Mark Brest van Kempen has produced art that connects people with plant and animal habitat, architecture and infrastructure. His interest is to reveal the social, ecological and historical layers that encompass a given “place.” His early influences growing up in Utah were Nancy Holt’s Sun Tunnels and Robert Smithson’s Spiral Jetty. And, although he does not physically shape the land as his medium, his real inspiration has been the pursuit to convey how to live on the land sustainably. There are a number of artists today concerned with how we interact with nature, and Brest van Kempen is one of a handful that have chosen the long hard road to create “green” public art. His commitment to educating about ecological systems is evident, as after 20 years he has only recently begun to see the fruits of his labor. This is a product of both his dedication to this work and the more recent interest and evolution of public art department directors who are seeking to capture funding for projects via water and transportation infrastructure funding. 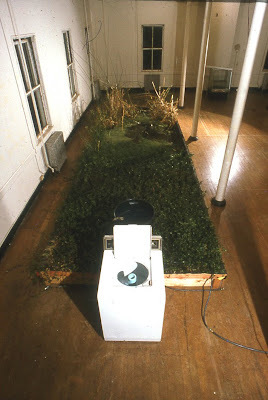 In 2000, Brest van Kempen created an indoor wetland prototype entitled “Cleaning System” while in residence at the Headlands Center for the Arts in Marin (CA). 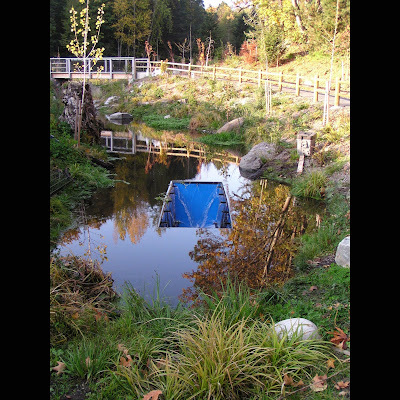 The installation diverted wastewater from a washing machine into a filtration pond of plants, tadpoles and fish to clean and monitor the health of the water. “This piece was part of a series of works to research and develop human infrastructures that can be grafted to natural systems, blurring the distinction between natural and man-made,” stated Brest van Kempen. The excess water flowed outside the building to water exterior plants. These two works have been pivotal for the artist’s career and have increased his eligibility for sustainable public art projects. By charting this new territory Brest van Kempen broke ground for visual artists who have primarily shown in galleries and who have created temporal site-specific works with nonprofits in the public sphere, to do more large scale infrastructure artworks. For two decades watershed groups in Seattle rallied to redirect a creek, naturally fed by springs and runoff, which had been diverted to a sewer line and water treatment plant over fifty years ago. This short-sighted decision unnecessarily treated the creek water, and by 2002, the county stepped up to divert Ravenna Creek back to where it had flowed historically, except now mostly underground. Brest van Kempen was then competitively selected through a national public art RFQ process and was invited to trace this historical and present day Ravenna streambed down a one-mile corridor to Lake Washington, which flows into Union Bay. 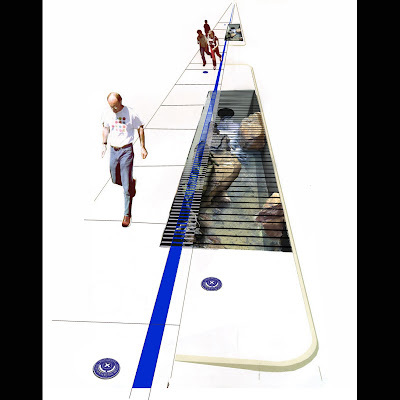 The public art works created for the Ravenna Creek Project, which are currently in multiple phases of completion, include an outfall structure and viewing station where the creek enters the pipeline underground from the park; and additional interventions along the sidewalks to the lake including three daylighting vaults, blue demarcation lines and inset spelling ‘Ravenna Creek’ on the sidewalks, and embedded plaques with inset capsules of native seed inside. For this project Brest van Kempen memorialized the existence of Ravenna Creek, working hand-in-hand with the City of Seattle Parks and Recreation and Metro/King County Drainage and Wastewater (Public Art Budget $200,000). For those of you living in or visiting the Bay Area, the unveiling of Brest van Kempen’s latest public art project in Oakland, Views of the Greenbelt, includes a combination of sculptural viewing devices, strategically placed sculptures of native flora and fauna, and interpretive signage to focus viewers' attention on the history and ecology of the Rockridge-Temescal Greenbelt and Temescal Creek. Funding was allocated by a local measure for Clean Water & Safe Parks passed in 2002, which provided $2.8 million for public art projects pertaining to this measure. This project was competitively commissioned through the City of Oakland’s Public Art Commission in 2005 (Public Art Budget $75,000). Brest van Kempen was also selected this summer by the City of San Jose's Environmental Services Department (ESD) and the Public Art Program in collaboration with the San Jose/Santa Clara Water Pollution Control Plant to create an interpretive artwork as an integrative aspect of the current Plant tours. Some 4,000 visitors each year are invited to consider the issues that impact water conservation to help ensure the safe treatment of 110 million gallons of sewage a day on behalf of 1.4 million residents (Public Art Budget $100,000). It is projects like these, green sustainable public art, that create what the Oakland Arts Commission considers “social equity . . . which can enhance the educational, recreational and aesthetic aspects of the landscape, adding quality of life and appreciation for the ecology of the land. To make accessible or transparent the processes that provide clean water can help safeguard communities.” The use of public art as a catalyst for community dialogue is a unique and exciting opportunity for the general public, utilities providers, and the art world. Mark Brest van Kempen’s work is subtle, almost invisible in some cases. However, sustainable art is about walking lightly on the land, something that this artist knows how to do very well.